I just love how versatile this recipe is. It’s super fast to prepare and great as leftovers. 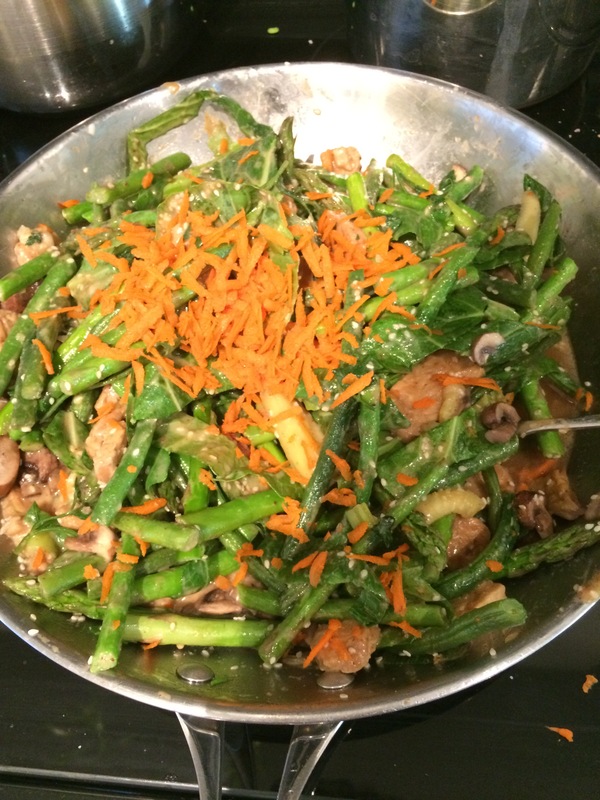 A mix of green veggies: I used asparagus, green beans, collard, mushrooms and zucchini. I also added some sesame garlic tempeh. Sauteed lightly in coconut oil – leaving the vegetables still crisp. Finish with julienned or grated carrot, sesame seeds and hemp seeds. 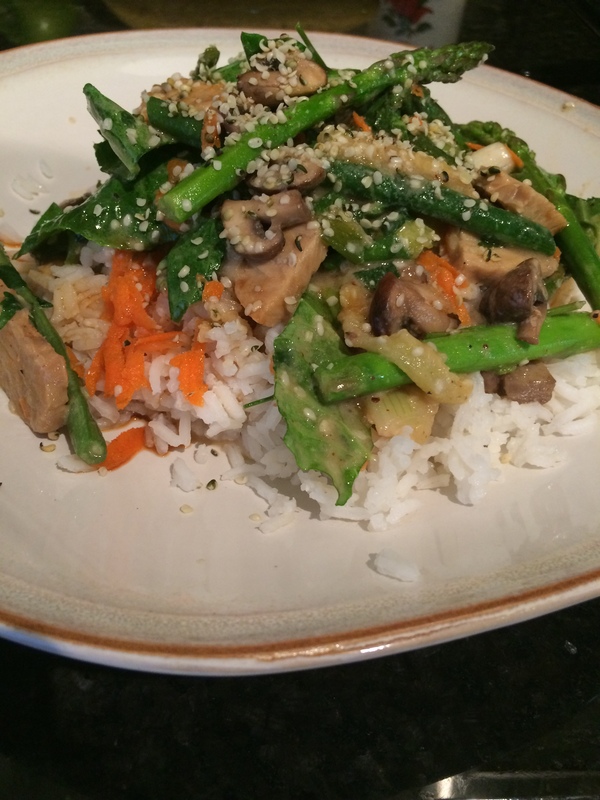 Serve with rice, noodles or quinoa.